A massive blast has killed at least 30 and injured over 100 more in NATO-member Turkey’s capital of Ankara. 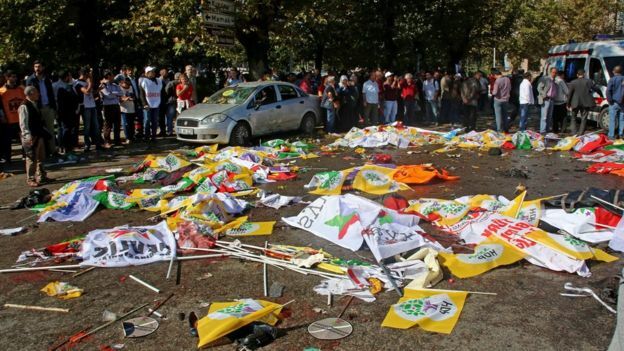 The blast appears to have targeted the pro-Kurdish Peoples’ Democratic Party (HDP) who was holding a peace rally at the moment of the explosion. At least one powerful bomb hit near the main train station in the Turkish capital Saturday morning, killing 30 people,authorities said, making it the deadliest attack in Ankara in recent memory. No group has yet claimed responsibility for the attack, though suspicion immediately fell on the ISIS terrorist group or on Kurdish separatists in Turkey. Turkey avoided, for quite some time, any conflict with ISIS, perhaps in exchange for the release earlier this year of dozens of Turkish hostages seized in the Iraqi city of Mosul. No details of those negotiations have been released. However, Turkey recently changed its stance and allowed the U.S. to launch strikes on ISIS from the Incirlik Air Base in southern Turkey. 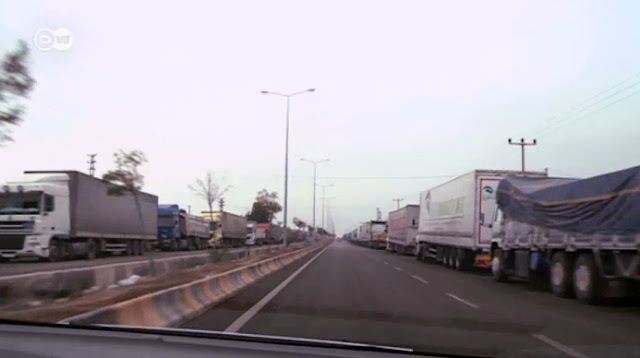 Image: Via Germany’s DW – despite Ankara’s attempts to portray itself as an enemy of ISIS, it has intentionally left its borders open, across which flow literally 100’s of supply trucks a day destined for ISIS forces. This explains the otherwise inexplicably vast fighting capacity ISIS has displayed as it fights the combined forces of Syria, Iran, Iraq, and now Russia. 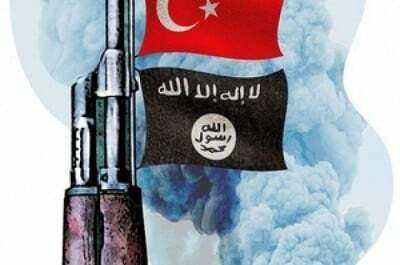 Indeed, with nearly a third of ISIS composed of Turkish terrorists, with Turkey being a regional, even global state-sponsor of terrorism targeting as far afield as China and Thailand, and with Turkey allowing its borders to remain open and feed what is clearly ISIS’ primary supply corridor just north of the Syrian city of Aleppo, it is clear that if “ISIS” was behind the blasts – it was Ankara itself who organized and executed them, and who will attempt to leverage them for maximum benefit. Terrorism as a Tool: To What End? The bombing comes just as the US attempts to answer Russia’s recent and expanding anti-terror operation being carried out within Syria with the cooperation of the Syrian government itself, Iran, and Iraq. 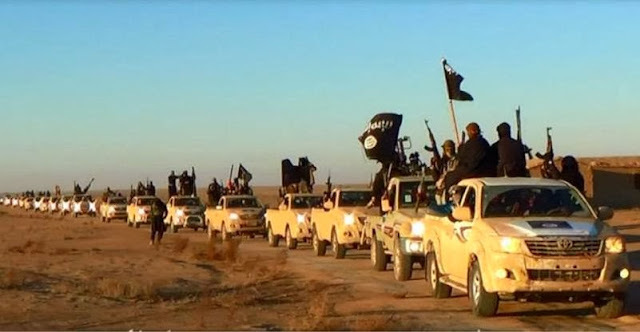 Image: The US and its ally Turkey would have the world believe “accidental” arm transfers have sustained ISIS’ otherwise inexplicably vast fighting capacity – “accidents” including the transfer of scores of brand new Toyota trucks by the US State Department now in the hands of ISIS fighters.